This friendship is rather tricky because it can be difficult for these two to truly appreciate one another for whom they are. The friendship between the Aries and the Virgo can be challenging and it usually requires a lot of work. The Aries will never tell the Virgo what he or she wants to hear because people in this sign are very honest and can criticize very harshly, especially when it comes for them to analyze other people’s both positive and negative traits. The better friends these two will be, the more they’ll get used to one another and their friendship can evolve. It’s good they’re both interested in helping others, so it’s possible they’ll volunteer for different charities and do things that don’t pay them in any way for their work. While the Aries doesn’t care about other people’s feelings and usually says what goes through his or her mind, the Virgo is more cautious and prefers to be careful with words. The Ram may think the Maiden is too delicate, while the other way around, the Virgo may find the Aries to be flamboyant. But all in all, the Ram can appreciate when the Virgo takes care of his or her image and deals with any mistakes he or she has made in the public, while the Virgo is happy to be pushed around by the Aries to take risks. Both of them appreciate what the other brings into their friendship. It would be better for them to not become lovers because they can only learn about from another when being friends. Emotional attachment can bring tension into their connection, which is not in any way indicated. Astrology says they’re opposites because the Aries never seems to have any patience and does things without thinking twice, whereas the Virgo is reserved, oriented towards perfection, quiet and never interested in making a scene. While very different, these two can get along very well. People born in Virgo are known to be very loyal companions, who can be next to their friends for a lifetime because they don’t mind giving a hand and they surely can offer all the knowledge they’re having to others. As a matter of fact, Virgos are known to be great supporters in times of need. However, in order for a Virgo to keep being friends with someone, he or she needs to receive loyalty in return. Because natives of this sign are always worried, timid and not too self-respecting, they take a lot of time before making a good friend. They would hate to be involved in embarrassing situations and usually stress too much about anything. Furthermore, the fact that they’re always criticizing can have others running away from them. When seeing the Aries and the Virgo together as friends for the first time, anyone will say these two have nothing that brings them together, but they surely can teach each other many things. The Aries knows only how to be impulsive, how to jump into things without thinking and also how to take action without waiting around. The Virgo is kind, reserved and doesn’t mind having patience for a situation to take the right turn. Because these two have such complementary personalities, they can teach one another great things, but only if they’re capable to leave their differences aside. The friendship between them will get stronger with time and when they’ll decide to understand each other and to accept that being opposites can make them stronger. In the beginning of their friendship, they may only see the negative traits of one another. For example, the Virgo can start to believe the Aries simply doesn’t think and takes action without analyzing anything. On the other hand, the Aries may find the Virgo moody and too reserved. However, with time, they’ll learn how to overlook their weaknesses and to turn what makes them different into advantages for their connection. The Aries can show the Virgo how to have fun and to live an exciting life, whereas the Virgo can teach the Aries how to be more patient and to pay attention to details. It’s very important neither of them gives importance to how the other criticizes because this way, their friendship can last forever and their interests don’t become conflicting with each other. The Aries is never needy because people in this sign don’t need to be paid attention to or to get spoiled. As a matter of fact, Arieses are very independent and they surely want to keep things this way. Furthermore, they’re never complaining, which means their friends need to be a little bit intuitive in order to find out what bothers them. This sign is ruled by Mars, while the Virgo by Mercury. Therefore, the Aries is a fighter and an action-taker who never plans or takes others’ feelings into consideration. The Virgo likes to analyze and to plan because he or she can’t do anything before thinking about every little detail. Both of them need to look at each other and to also learn a few things. For example, the Virgo could become less criticizing and more dynamic after learning from the Aries how to, while the Aries can turn into a less impulsive individual after seeing how composed the Virgo is. As said before, before learning how to combine their energies and appreciating their strengths, these two can only see the negative traits in one another. But with time, the Aries will teach the Virgo how to have fun, while the Virgo will show the Aries patience can bring about great things. It’s a very well known fact that the Aries acts on the spot and usually doesn’t think of consequences, while the Virgo is the complete opposite and thinks too intensely. The same Virgo doesn’t mind following the Aries, who’s a natural born leader and who loves playing this role in a noticeable manner. The more these two will accept they also have some flaws, the more their friendship will get to evolve. Of course, for them to be friends and to resist in time as companions, they need to do the same things and to have common goals. It’s true neither would mind breaking the rules of friendship, especially the Aries who’s a champion at getting into trouble, but they should be more cerebral about this issue. The Aries is the best person to have around when solutions to problems needs to be found fast and in a very efficient way. The Virgo really needs a spark of creativity and more energy into his or her life, which means this sign can be very happy when best friends with an Aries. On the other hand, the Aries loves having around someone who can help him or her be more patient and thoughtful. The Virgo is modest and usually has great knowledge on any subject, which is something for the Aries to appreciate. Furthermore, the Aries never lies and the Virgo truly appreciates this, even if the Ram usually doesn’t care about whom he or she is hurting when saying something upsetting. However, this doesn’t mean the Aries isn’t in any way diplomatic because people in this sign tend to never have a single bad intention or to think of hurting anyone. They don’t like being the type who complains and surely avoid those who are known for backstabbing or deceiving. The Virgo is never this way, so the Aries can be more than happy with a person in this sign as his or her friend. While the Aries belongs to the Fire element, the Virgo is of the Earth one, which means the Aries does things based on what the gut is telling him or her, while the Virgo prefers to plan and to weigh all the pros and cons before making a decision. It’s impossible to ever see a Virgo being impulsive or reaching to a conclusion without thinking twice. On the other hand, the Aries doesn’t hesitate to jump into new situations and to take on new challenges. It can be difficult for these two to truly appreciate one another for whom they are. However, if they’ll spend time together and make an effort, they can conclude their friendship brings them a lot of knowledge and it even makes their combined energies work more efficiently. 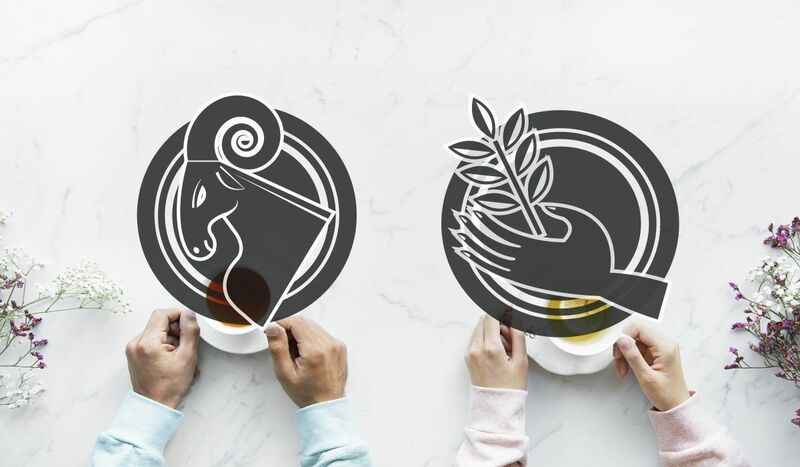 While the Aries is cardinal, the Virgo is mutable, which means the first is a leader who loves to take the initiative, while the second needs to analyze, to change, adapt and also to play many roles, according to the circumstances. These two are not likely to fight very often, which means their connection is smooth and they don’t get into conflicts as often as others. Another thing that’s specific to their friendship is how they have completely different interests as it’s impossible to see them working towards the same goals.